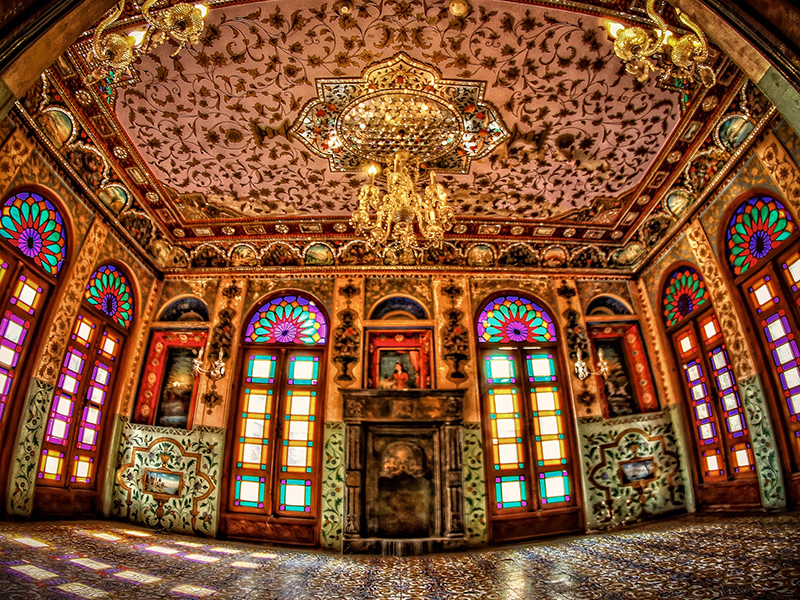 Visit to Golestan Palace – one of the most ancient architectural sights in Iran. 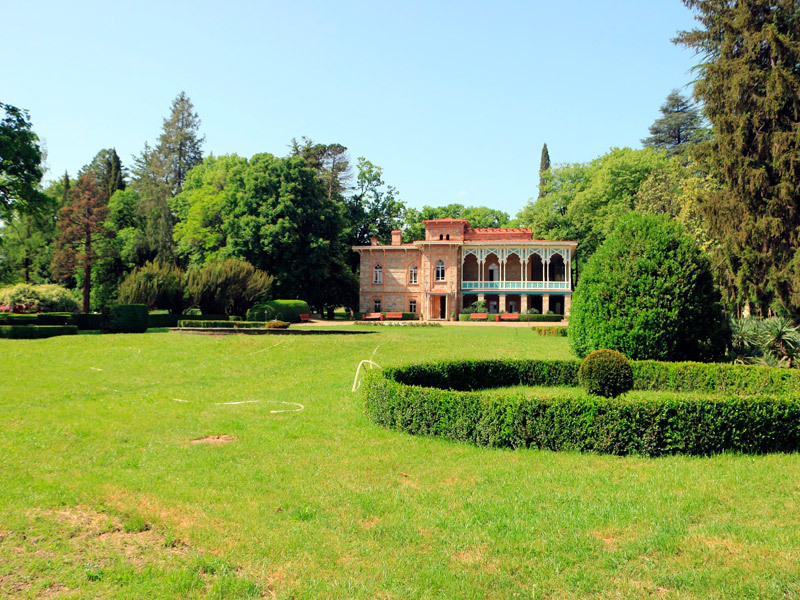 It consists of royal buildings and gardens. 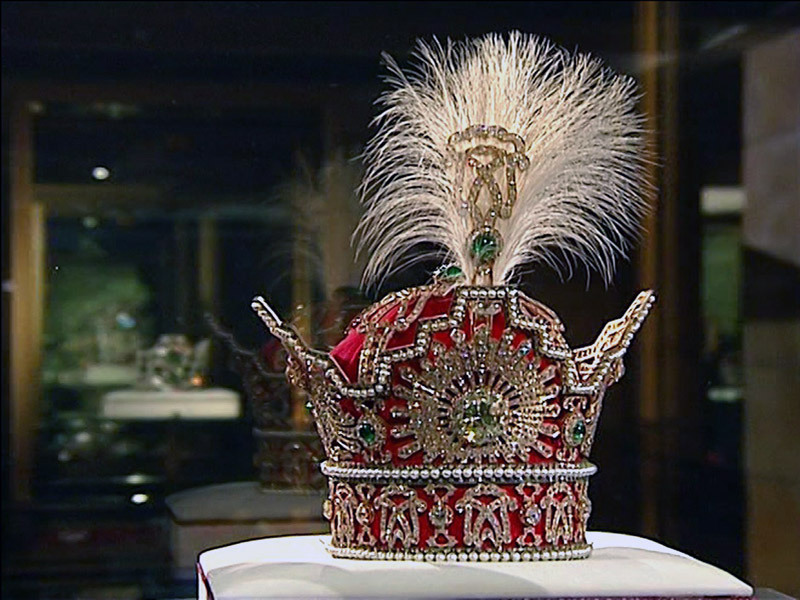 Visit to the Museum of National Jewels where you will explore amazing collections of Safavid and other royal dynasties: crowns, diadems, swords and other precious gems. 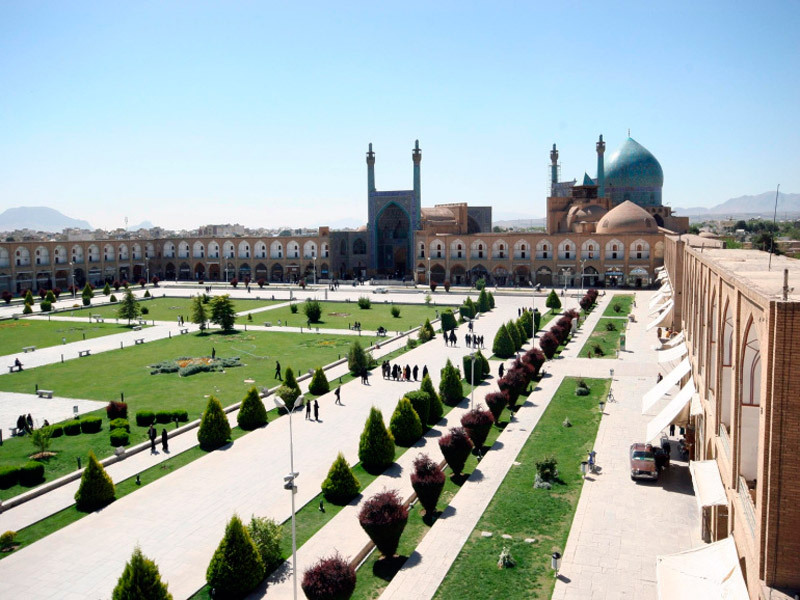 The tour will start with a visit to Imam square (Naqsh-e-Jahan belonging to the XVI-th century). 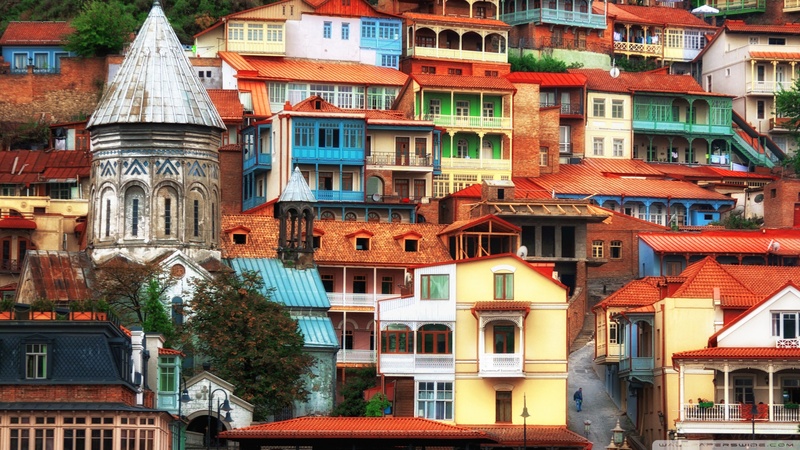 It is the second largest square in the world included in the UNESCO world heritage list. 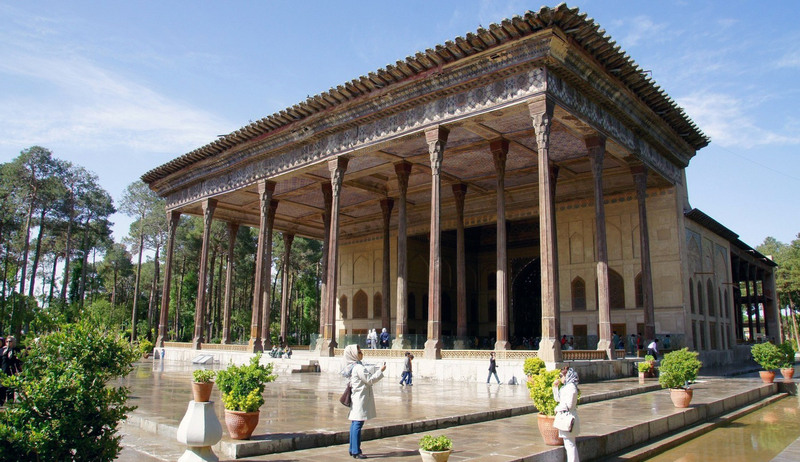 The next stop will be at the grand forty-eight meters high Ali Qapu Palace built in the XVII-the cent. 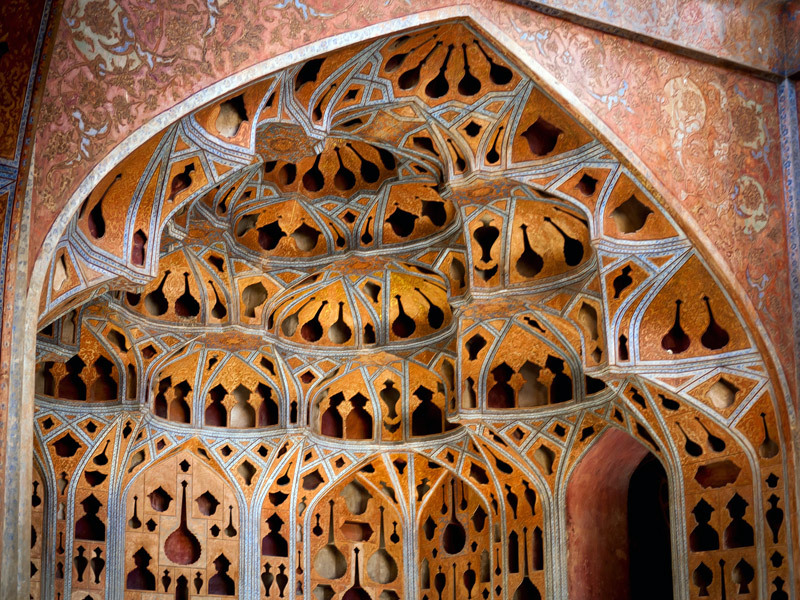 by Shah Abbas I. 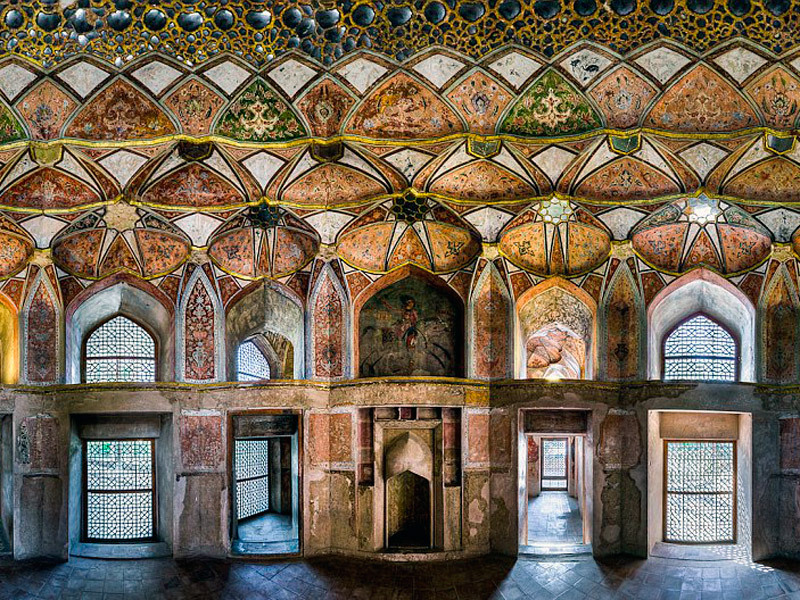 Visit to the Minare Jonban – the tomb of a Sufi with its shaking minarets and some historical bridges. 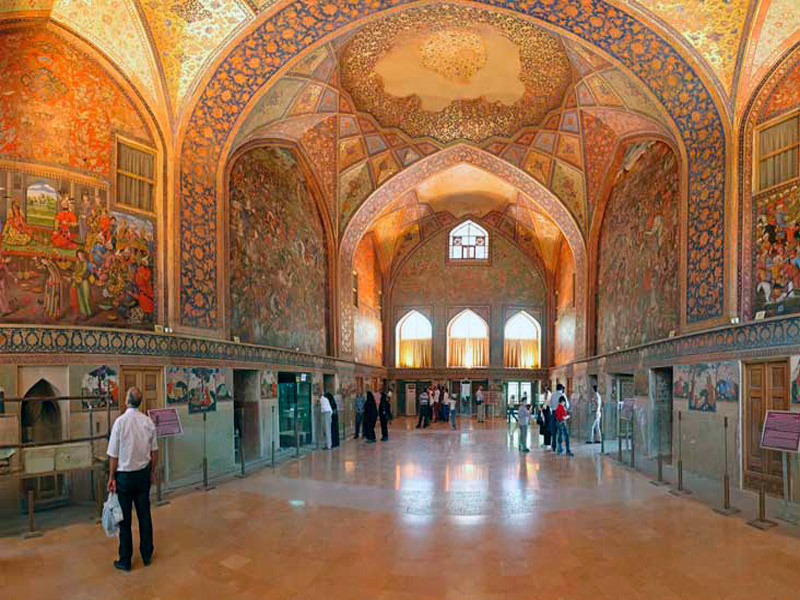 The tour continues to Chehel Sotoun – an outstanding architectural masterpiece of the XVII-the cent. 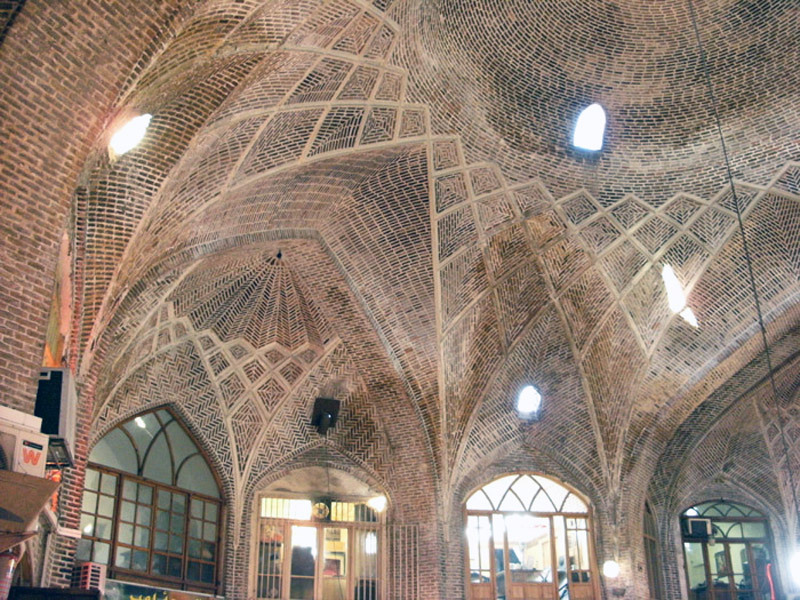 Once it was used by Iranian shahs for entertainment and receptions of dignitaries and ambassador. 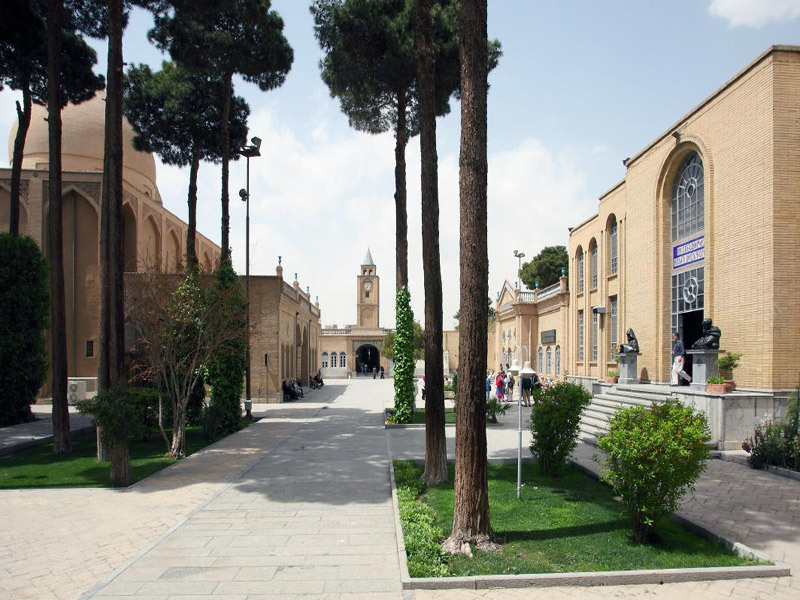 City-tour in Tabriz – one of the biggest cities in Iran. Visit to the beautiful El-Goli Park named after Shah Golu. 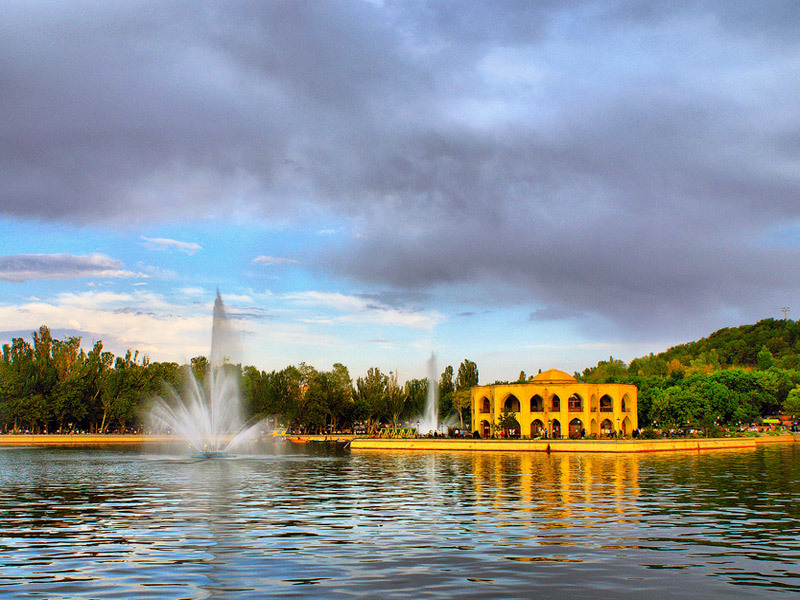 It has a square artificial lake and a beautiful building in the middle of the lake with the traditional architecture of Iranian Azerbaijan. 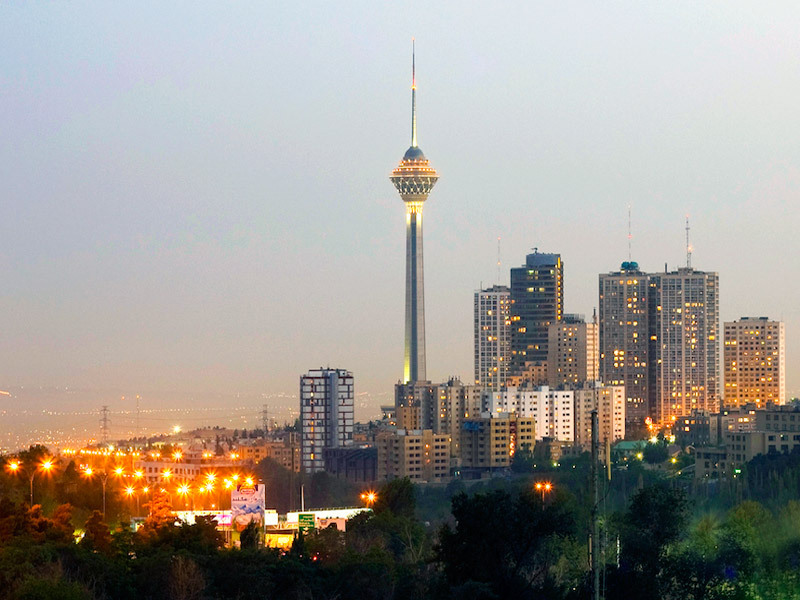 Besides the beautiful El Goli Park, there is also a luxurious 17-floor building named Tabriz Pars Hotel with a marvelous view. 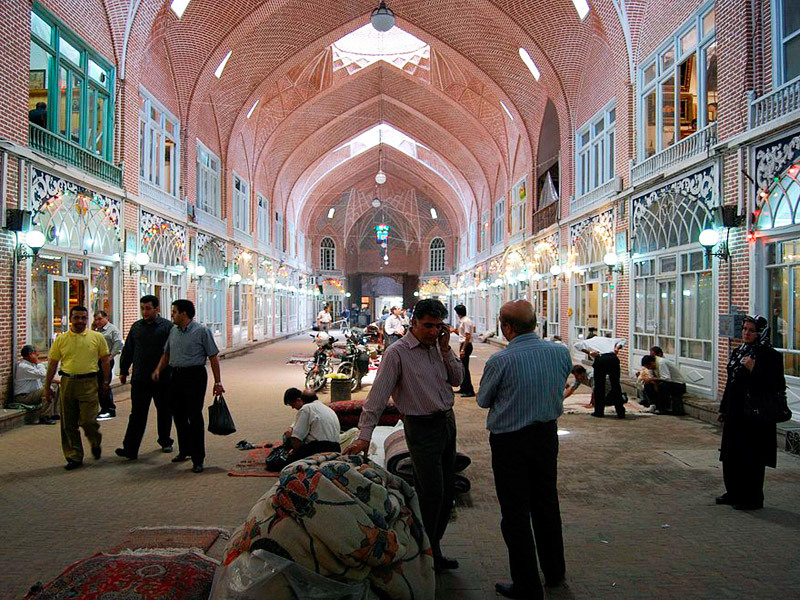 Visit to the Blue Mosque, the house-museum of Amir-Al- Mulk and big bazaar for buying oriental spices. 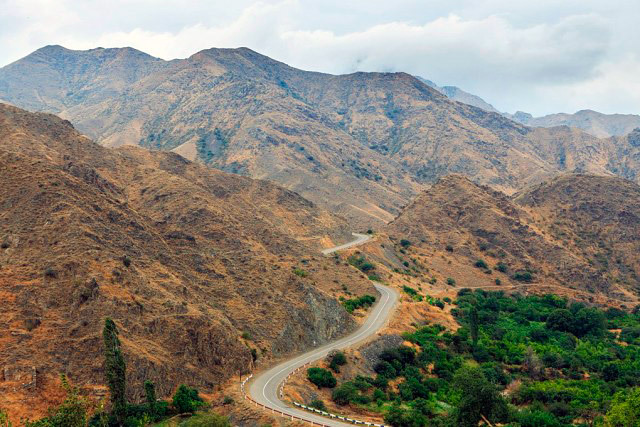 Morning trip to Iran-Armenia border which lies between Nordooz and Agarak villages. 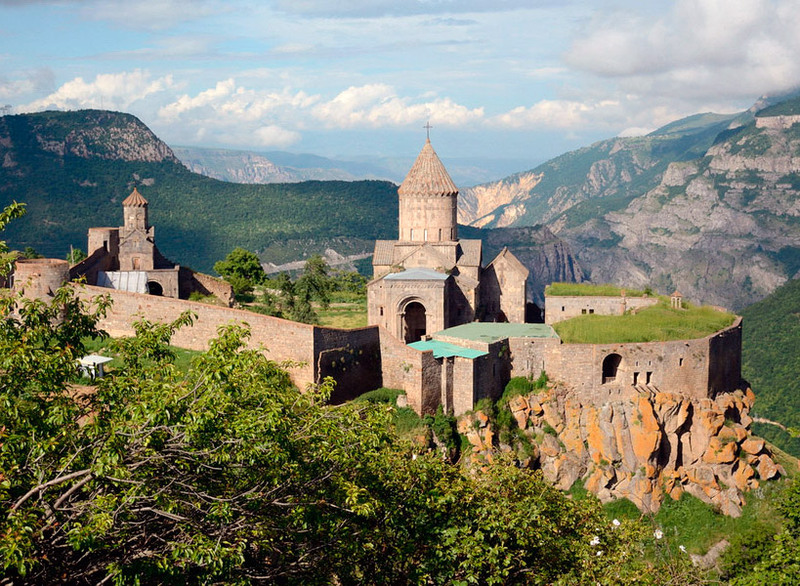 After passing border we will drive to Goris, Armenia, where we will stay for overnight. 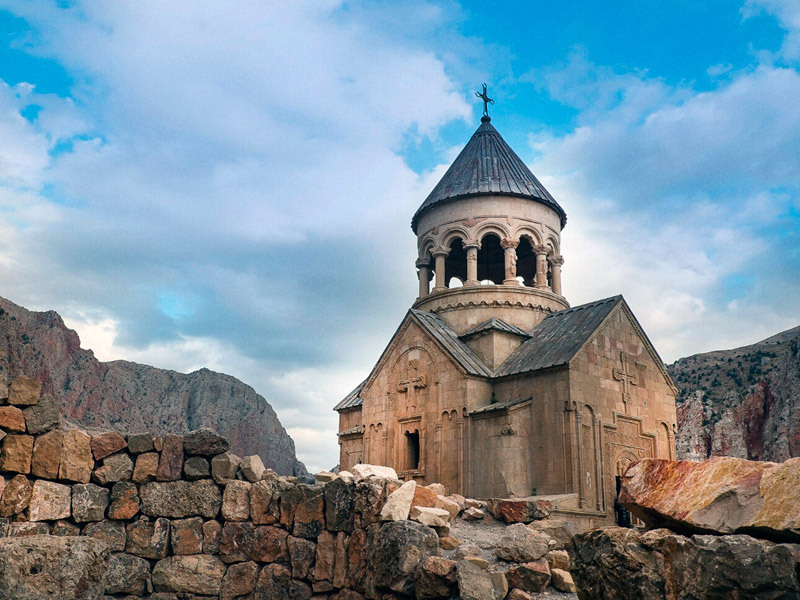 The day will start with a trip to Geghard Cave Monastery – the example of unique rock architecture. 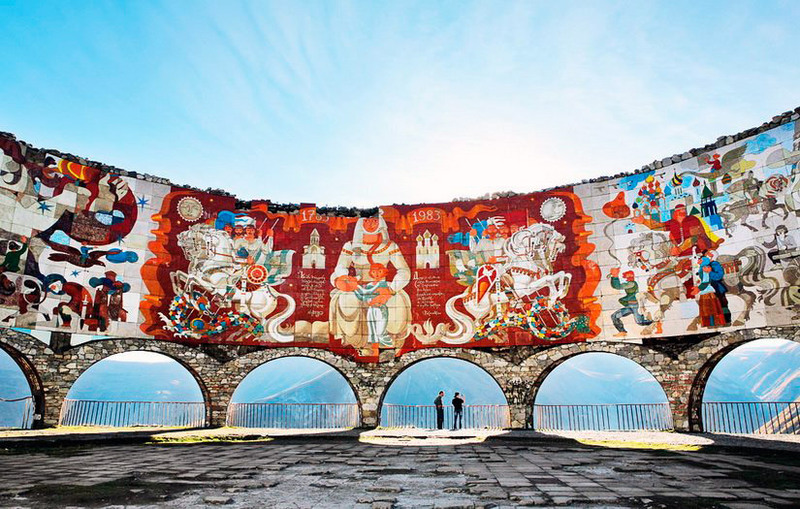 It is a UNESCO object of the country. 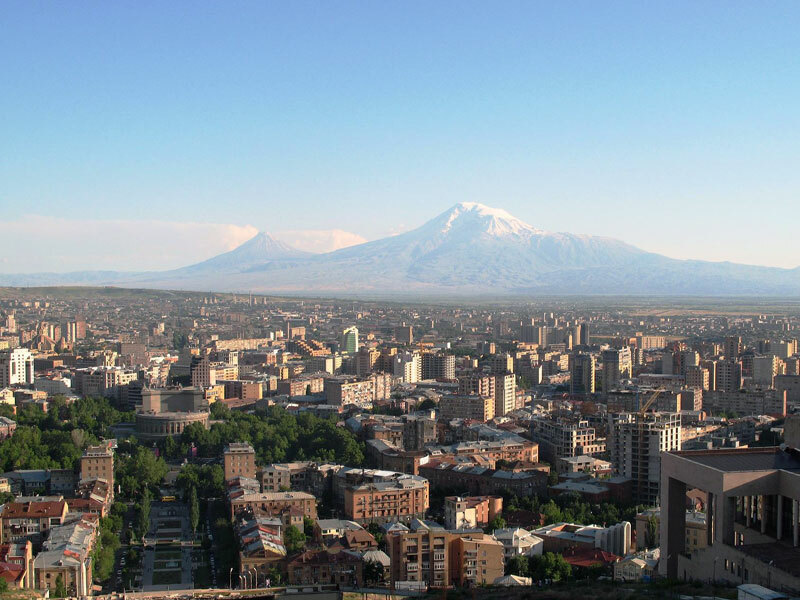 City-tour around Yerevan. 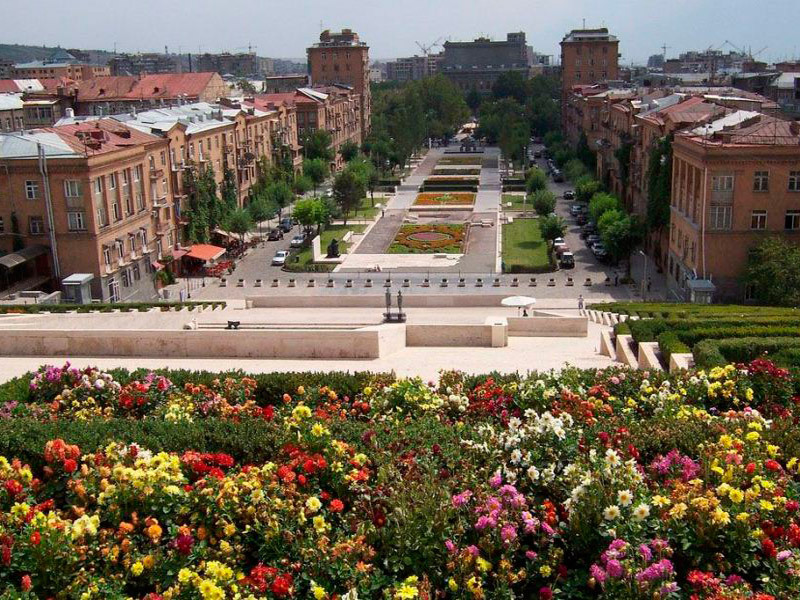 You will see famous Cascade Complex, the building of Opera and Ballet Theatre after A. Spendiarian, Republic Square. 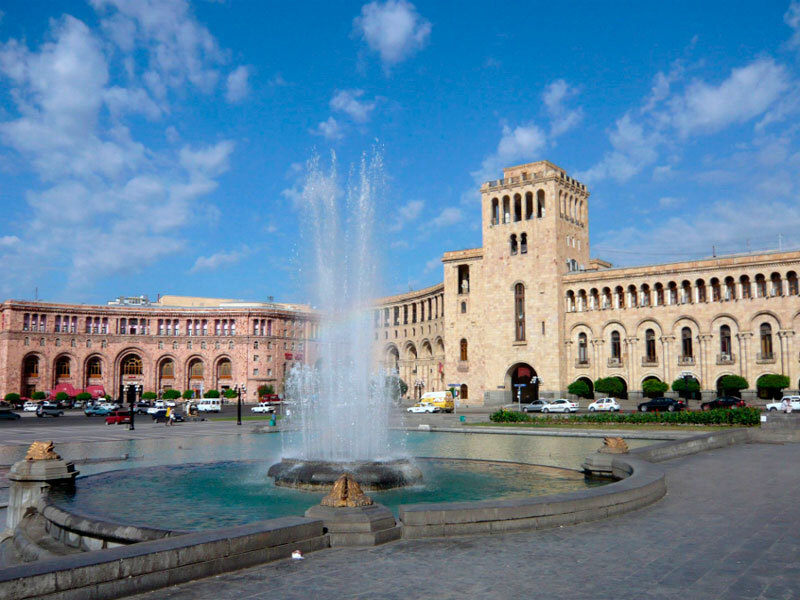 You will visit the Museum of History of Armenia, Matenadaran – a repository of ancient manuscripts, research institute and museum, the Armenian Genocide memorial complex – Armenia’s official memorial dedicated to the victims of the Armenian Genocide. Those who wish can visit the museum of the memorial. 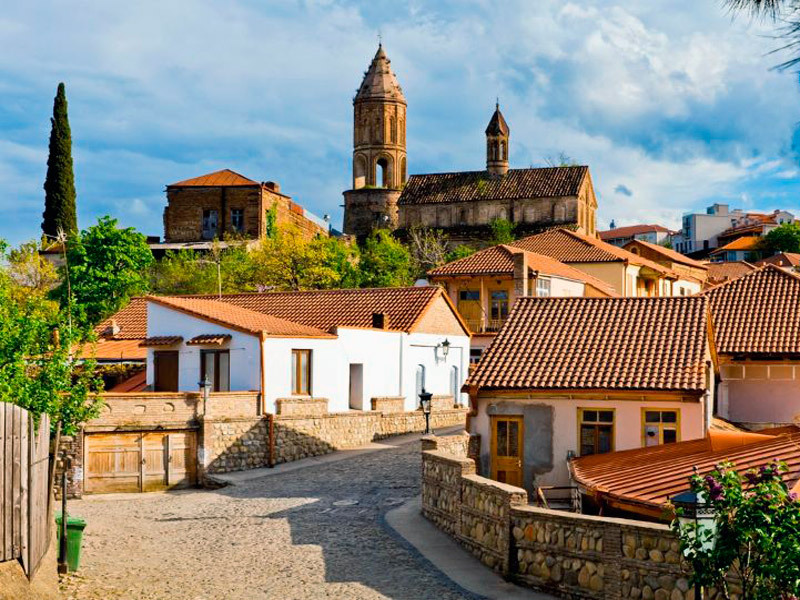 Taste famous Armenian brandy in Ararat brandy factory. 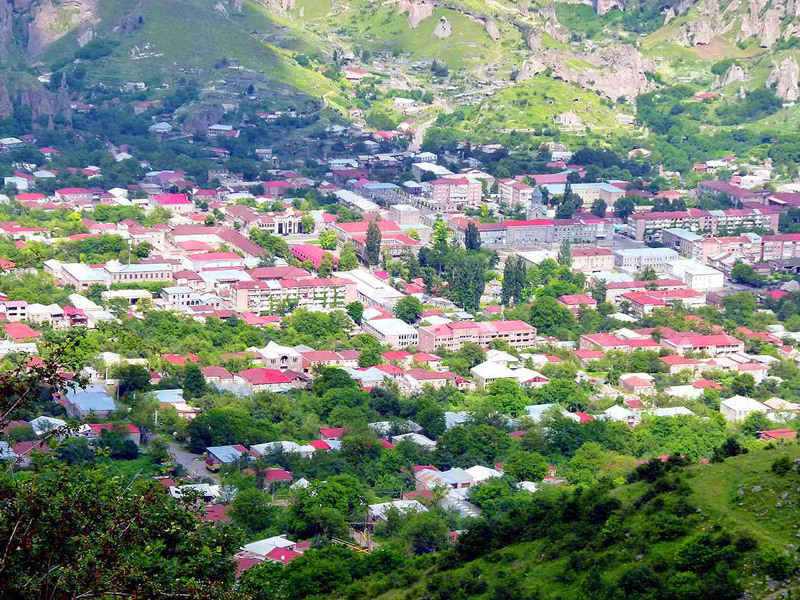 This day you will visit the religious center of all Armenians, Etchmiadzin town. 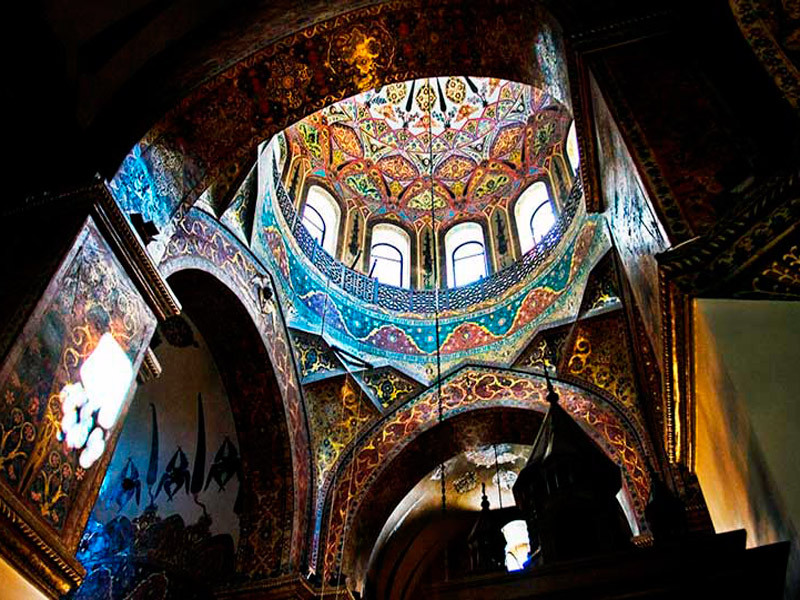 Here was founded the first Christian church in the world, Echmiadzin Cathedral. 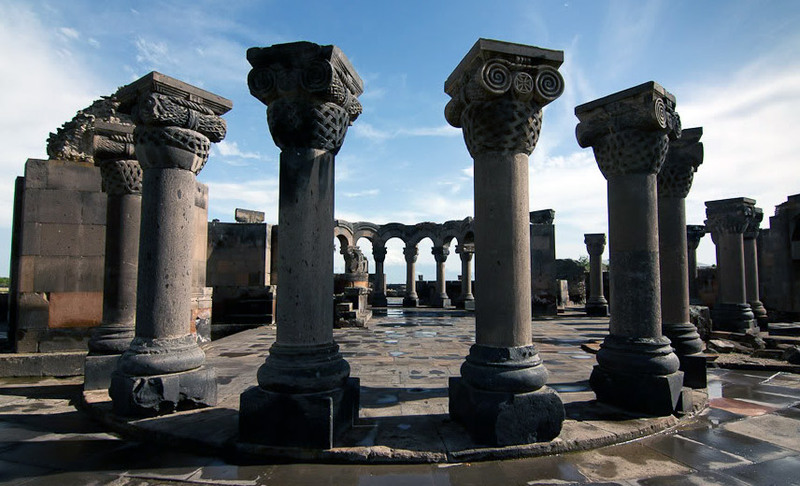 Next stop will be at the ruins of Zvartnots Temple. 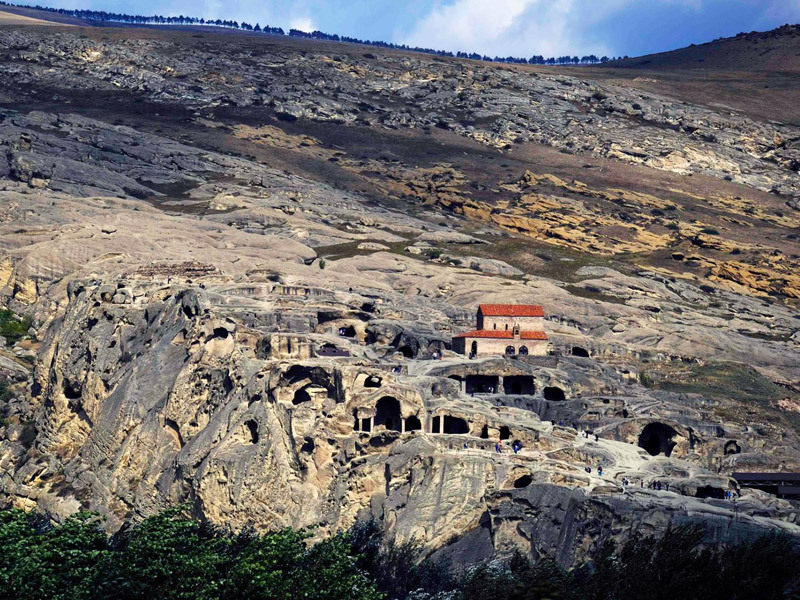 Zvartnots is of great value not only for Armenians but also for international society, as it is inscribed in the list of UNESCO World Heritage Sites. 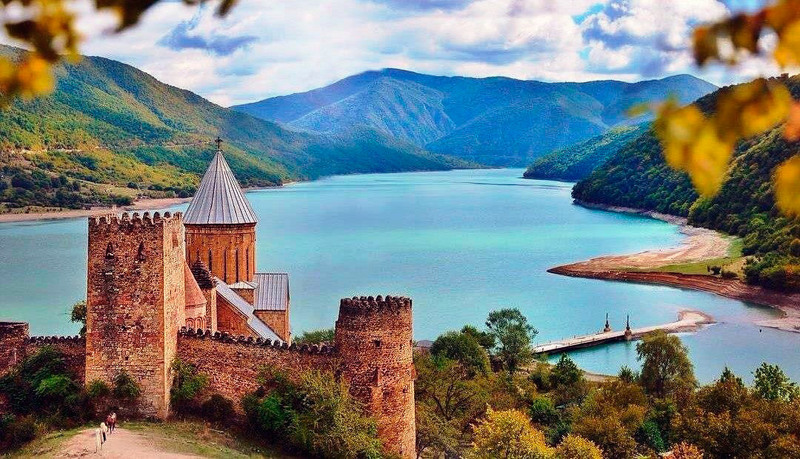 The tour will continue to Lake Sevan – an amazing azure lake, one of the highest mountain lakes in the world. 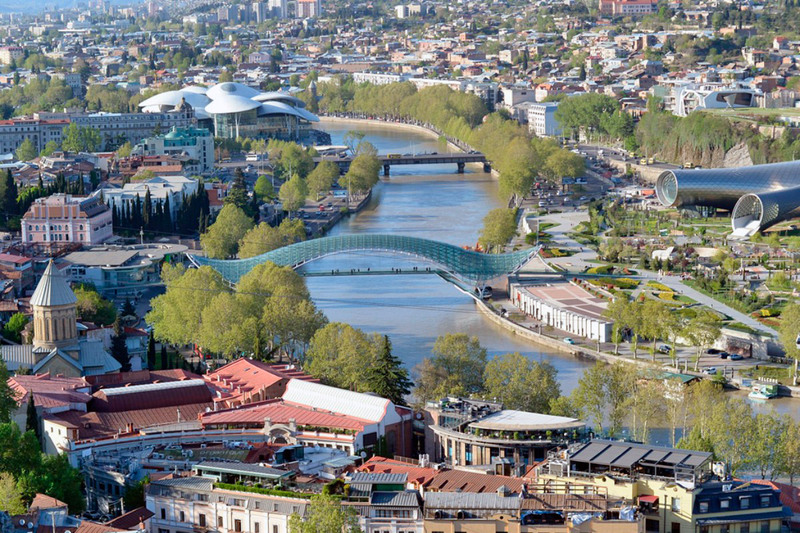 City tour around Tbilisi. 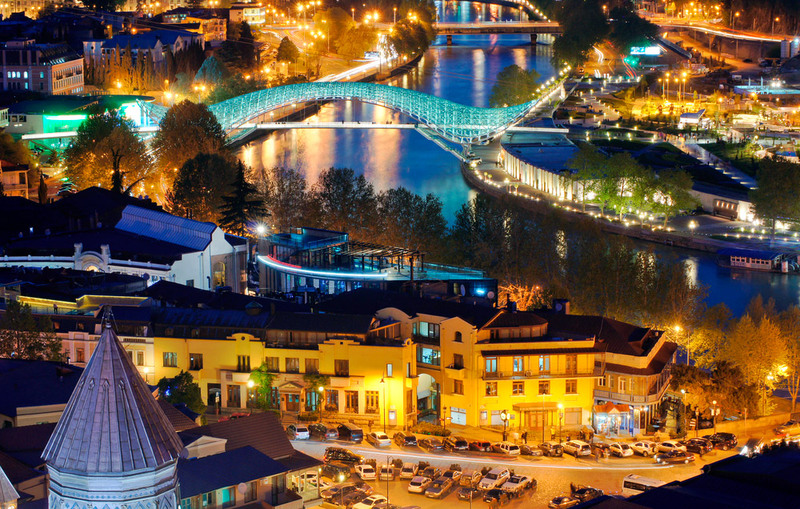 Visit to Rike Park, Narikala Fortress, Sulfur Baths and Sion Cathedral. 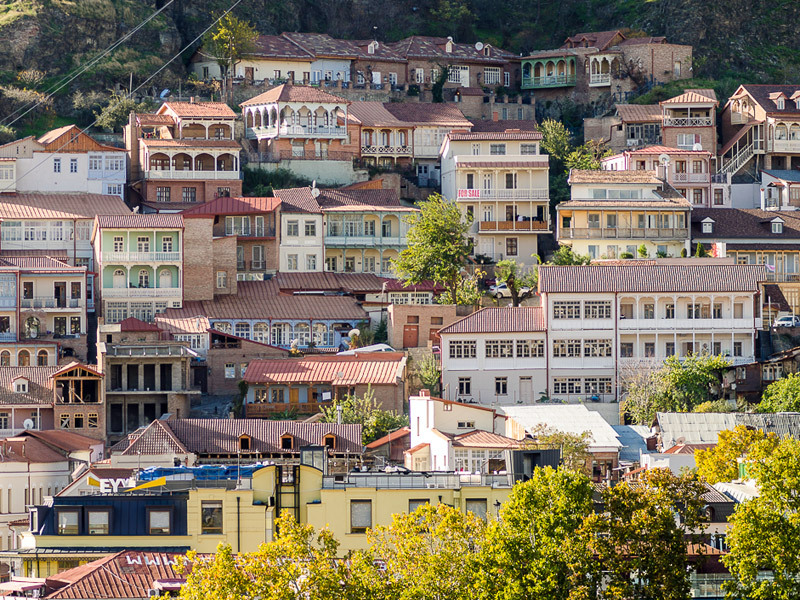 Trip to Mtskheta town which is located near Tbilisi. 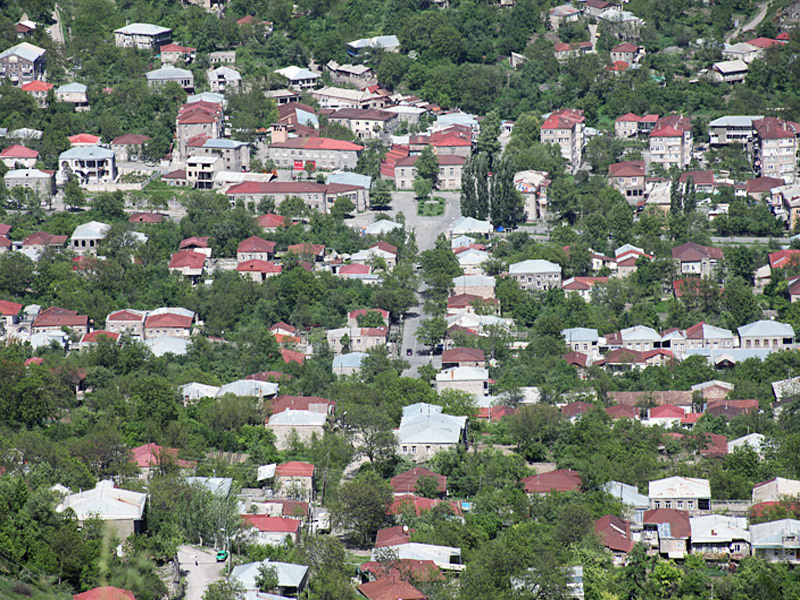 Mtskheta is the first capital of the Eastern Georgian Kingdom and the religious center of the country. 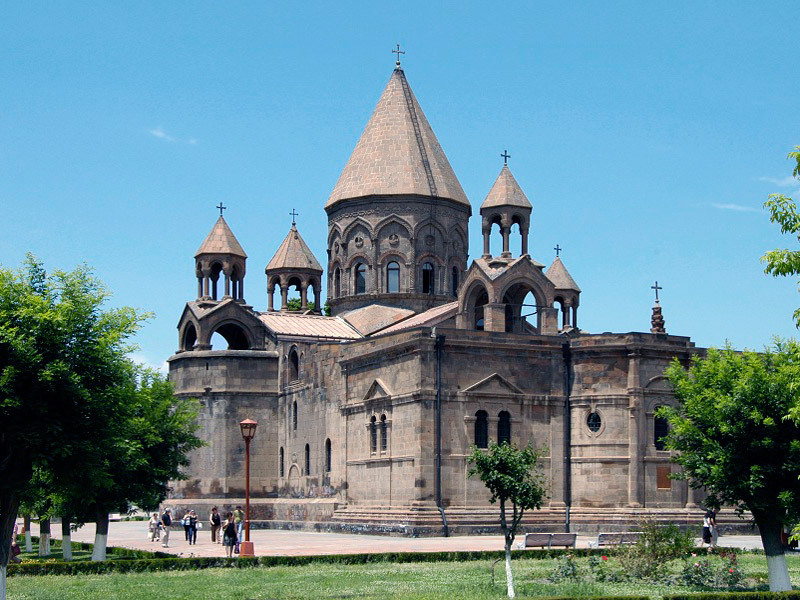 Visit to the cathedral of Svetitskhoveli and the Jvari temple. 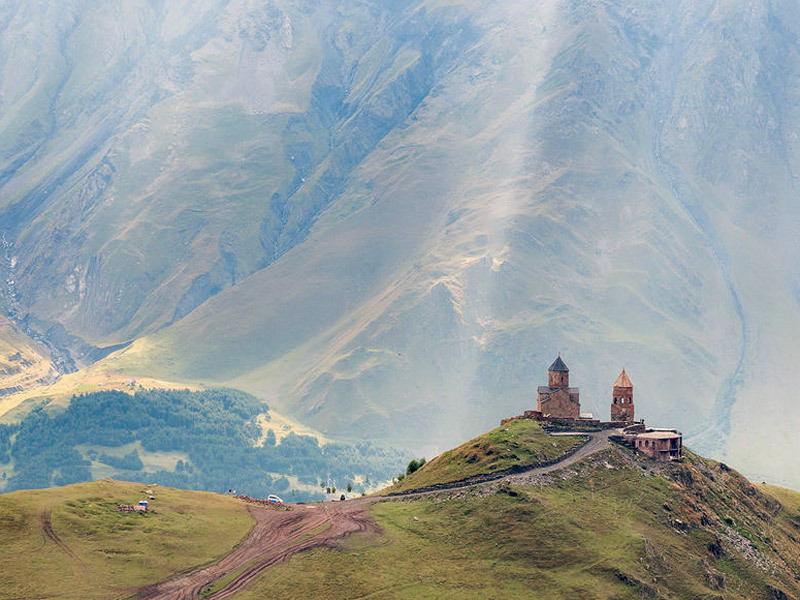 These religious sites are UNESCO objects in Georgia. 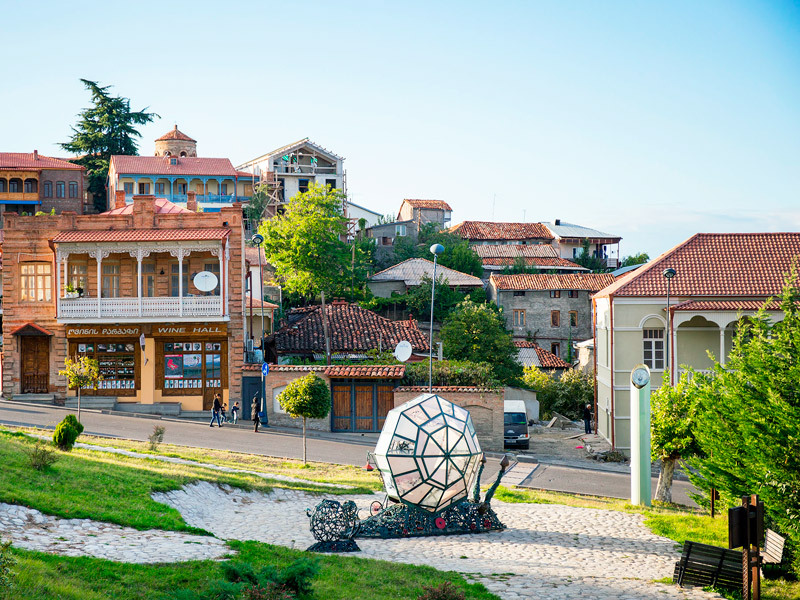 Trip to Gori town – the heart of eastern Georgia and the birthplace of Stalin. 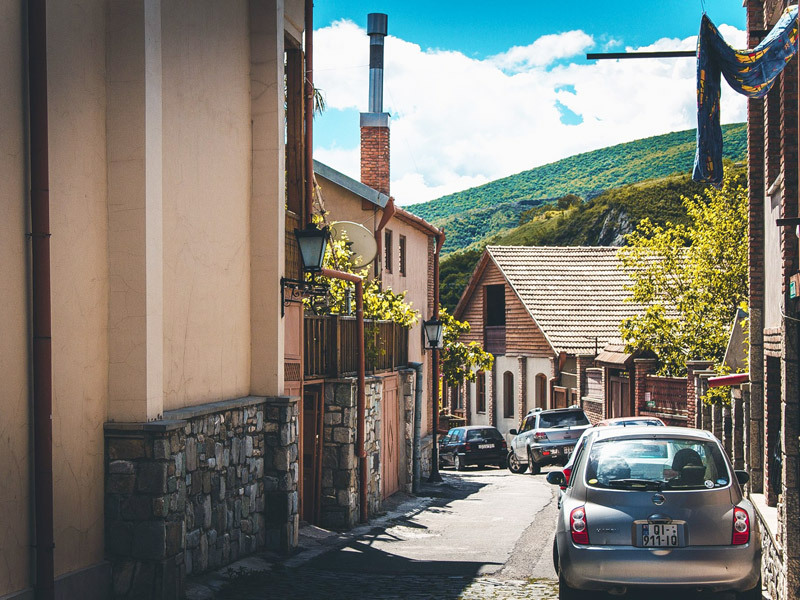 Stop in the most popular ski resort of the country, Gudauri, which is beautiful at any time of the year. 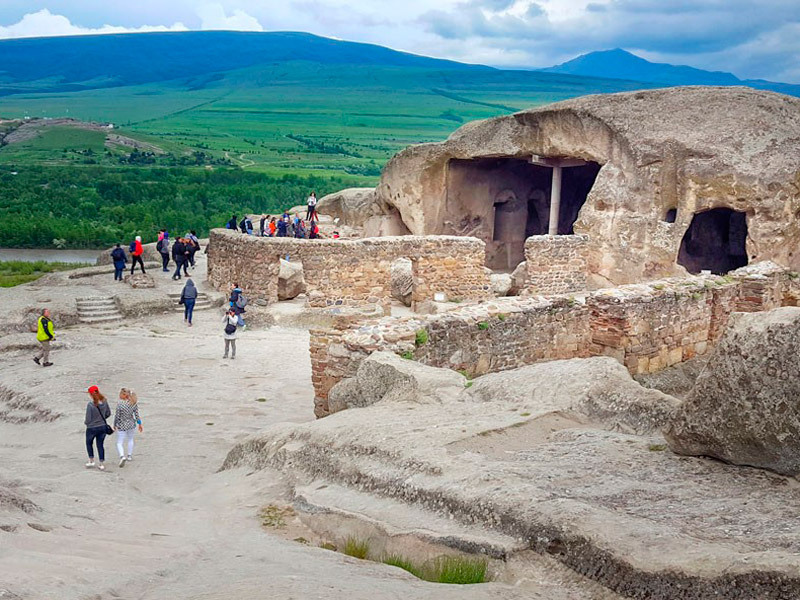 Continuation of the tour to the urban-type settlement of Stepantsminda, located directly at the foot of the majestic Mount Kazbek. 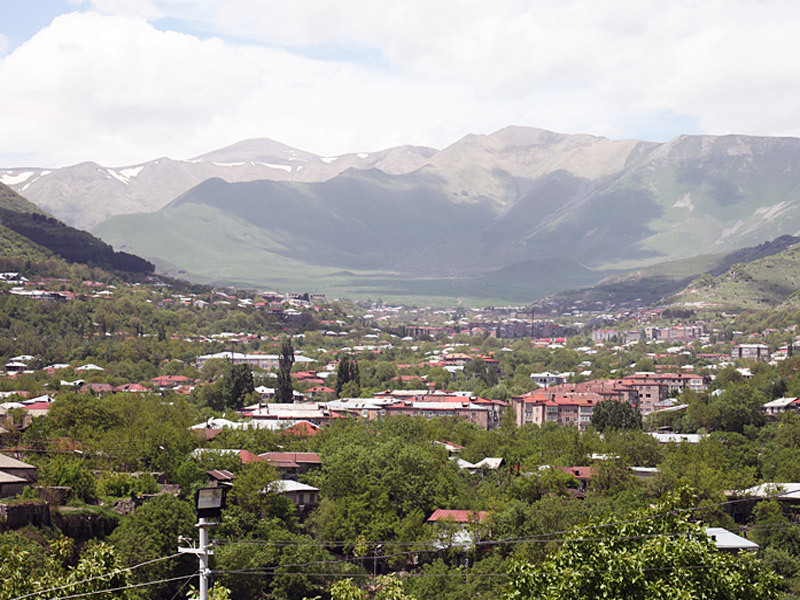 Visit to the monastery of Alaverdi. The monks here have been making wine for millennia and keep it in the unique wine cellar of the 11th century.